The Multi-Family Account Specialist is charged with the day-to-day implementation of the Fickling Management Services policies, procedures and programs that will assure a well-managed, well maintained accounting system, placing maximum emphasis on positive response to the concerns and needs of the Multi-family Property Managers, Directors and Property Management Controller in conjunction with the Owners’ goals and objectives, of the assigned portfolio of properties. The environment at Fickling Management Services is one that fosters growth and teamwork. 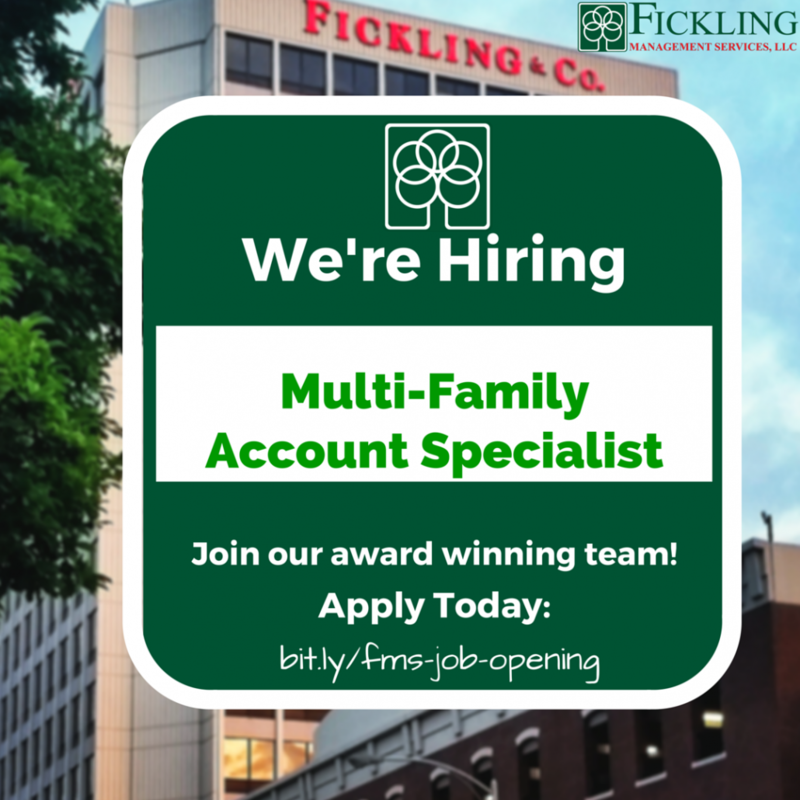 We seek talented individuals to join and grow with our firm.